I feel like my necklace is what makes this outfit stand out so much. Everything I'm wearing is under $40. 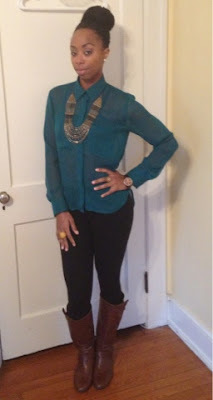 Solid color button down tops are perfect for bold necklaces.